Change things up with a short trip to Universal Studios Singapore in Sentosa Island (about 32 minutes away). 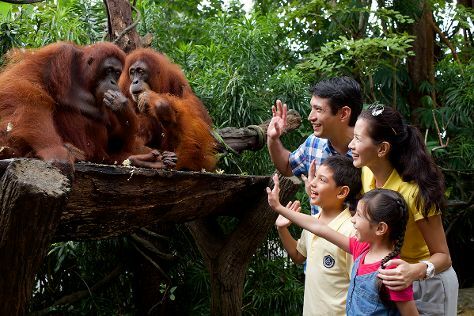 There's still lots to do: tour the pleasant surroundings at Singapore Zoo, make a trip to Singapore Flyer, wander the streets of Chinatown, and admire the natural beauty at Gardens by the Bay. To find maps, photos, traveler tips, and more tourist information, read Singapore day trip planning tool . If you are flying in from India, the closest major airport is Singapore Changi Airport. In September, daytime highs in Singapore are 38°C, while nighttime lows are 30°C. Finish your sightseeing early on the 21st (Fri) to allow enough time to travel back home.